In my latest article for Clutch magazine I discuss ways adults, particularly women, can help empower teen girls to have a more positive and healthy self image. While I think we should offer words of encouragement, we also need to walk the talk and be good examples of self-confident women. This means, as I state in my article, not complaining about our weight or waistlines (something I'm very guilty of) in front of young girls and having an active lifestyle. I have learned that one of the best ways to feel good about my body is to focus on what it can do instead of how it looks (which is why I ran 13.1 miles in below freezing temperatures last month). Last year, after being weight obsessed for months, I got rid of my scale. I decided to replace my goal of "lose 25 pounds" with "complete a half marathon." And I did it! 1. Make weight training a habit. 2. Conquer my fear of Body Pump. 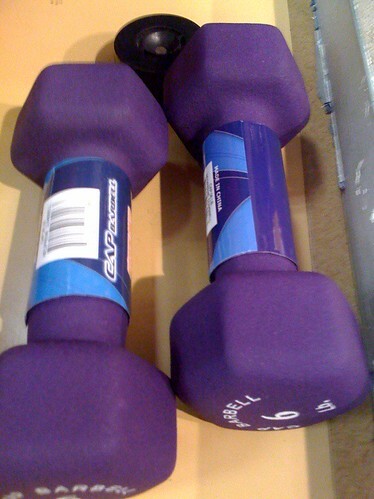 From step to spinning to dance aerobics, I love group fitness classes, except for one class -- Body Pump. I hate this class. Why? Because it's a weight lifting class. Well, it's a torture chamber disguised as a weight lifting class. But I'm determined to one day become a Body Pump regular. One day. 3. Run a 10-minute mile. I'm a tortoise on the trail. 4. Complete a 5K in 30 minutes. 5. Complete a 10K in an hour. 6. Complete a half marathon in 2.5 hours. Yes, I actually plan to put my body through that again. 7. Do 50 push ups without taking a break. 21-year-old Javacia could do this. 31-year-old Javacia is lucky to do 5 push-ups without stopping. 8. Obtain my group fitness instructor certification, again. I miss being a certified fitness fanatic! 9. Obtain my personal trainer certification. This has been a dream of mine for over a decade.